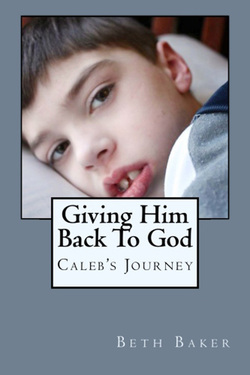 from around the globe that lovingly became known as, "Team Caleb". They prayed, supported and fought diligently for him....and ultimately learned how to live a better life by the example of a precious little boy. It is the heartwarming story of a mother's unending love for her child, and the amazing gifts that special needs children share with the world. For large orders at a discount, for a business or as required reading for students, please contact us at: bethcbaker@hotmail.com.